It’s not just making — or eating — food that makes me happy. I also love talking about it, especially when it’s with people who are experts in a food-related realm in which I’m not a pro. 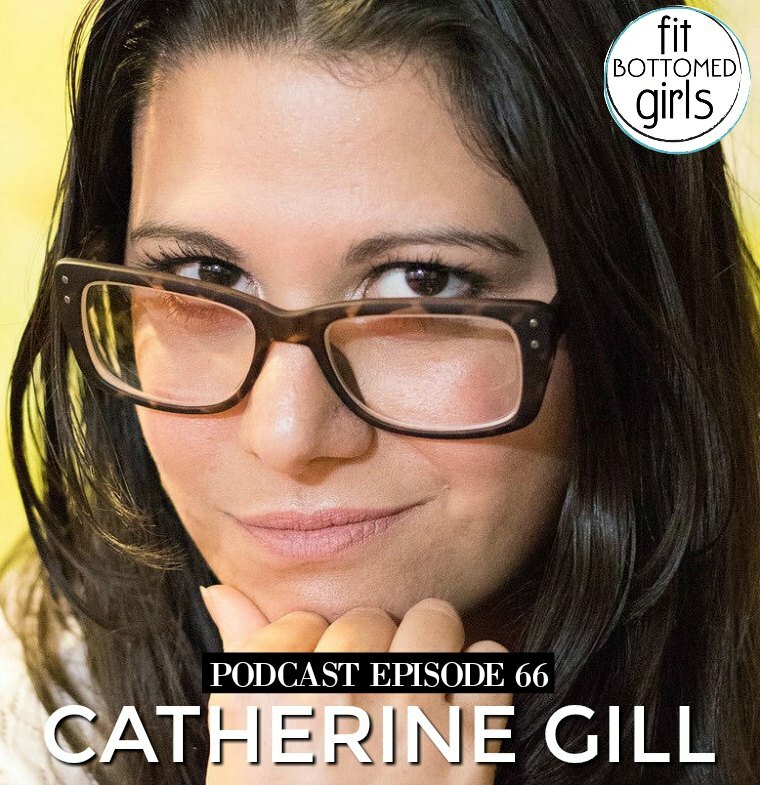 And that’s part of why I really love being co-host of The Fit Bottomed Girls Podcast. We’re always talking to amazing peeps who are super passionate about sharing their knowledge, and we’ve had a few recently that focused a lot on food. Dig in! Plant-based foodie and healthy lifestyle blogger. 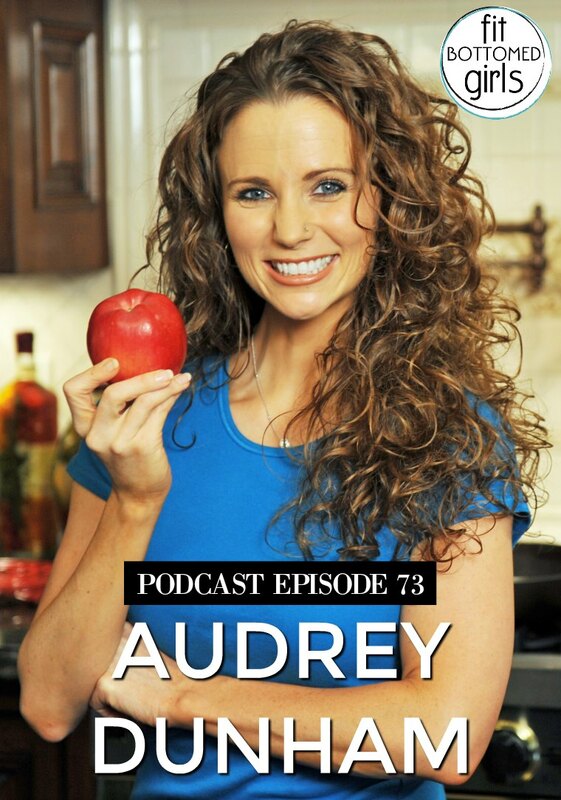 From her candid thoughts on her days as a fitness competitor to her love of intuitive eating, Audrey holds nothing back about her life with comedian Jeff Dunham and their twin boys. She offers advice, recipes, and a whole bunch of love that’ll make you wish you could pull up a chair in her kitchen. Meal prep pro from Fit Couple Cooks. 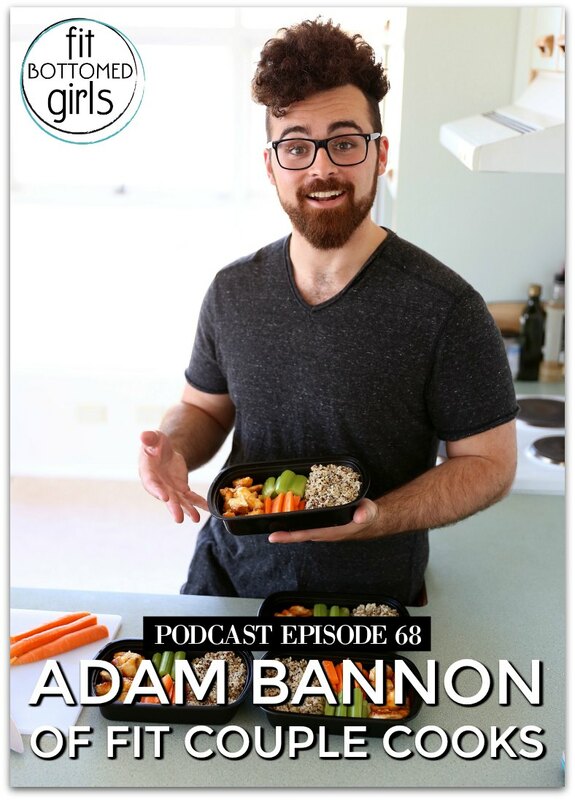 Adam, the spirited Australian half behind the meal prep You Tube series Fit Couple Cooks, talks about their new meal prep cookbook, the best ways to save money by prepping your meals, tips for saving food in the freezer, plus the fruit he misses most from his homeland. Blogger and author behind The Dirty Vegan blog and cookbook. Catherine feels strongly that following a vegan diet doesn’t have to be hard — and it certainly doesn’t have to be bland! She talks about her favorite vegan comfort foods, simple swaps, the must-haves she always keeps in her pantry, plus the celebrities that reached out to her when they wanted recipes created just for them. Get more info on our podcast here and be sure to subscribe on iTunes so that you never miss an episode! And if you dig what you’re hearing, we’d love for you to leave us a five-star review on iTunes (which we’ll be delighted to read on air). It’s the best way to help us get our show out to more people!